Register Log In Home Forums Motorcycles and Motorcycle Lubrication Yamaha NIKEN. What??? So apparently it's an LMW (leaning multi-wheeler). I'm a little speechless and a lot dumbfounded by this concept. Who is the target audience for this? A Can-Am Spyder owner maybe? The video does make it look kind of cool/futuristic though. Reminded me of Oblivion a little bit. Saw something similar on Shark Tank, but theirs is electric. Some riders were injured but they still wanna ride. Me, if my legs gpt trashed, I'd go for a T-Bucket over a trike. More fun than you would guess! Piaggio MP3, Quadro 3, Peugeot Metropolis... they have been there, scooter wise. They did their duty. Now, Yamaha brings this technology to big wheels motorcycles. When you start seeing this bike win on the track in races I'll get interested. Four forks to change oil and seals on (no thanks) and how the hail do you get to the valves to check lash with that width up front. It is a cool concept however. It looks like it still requires support (a leg or kickstand) to stop from falling over when not moving, judging by pictures in that link. So it leaves me wondering what it's advantages are over a 2-wheeled bike. The answer to the question no one asked. 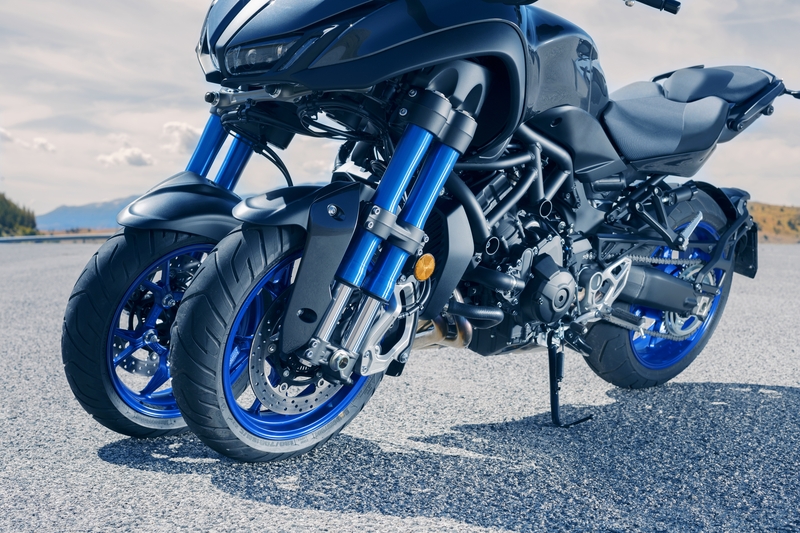 "And, I know for an absolute fact, the Yamaha Niken won�t have a kickstand."